Today I woke up and I panicked. From the moment my feet hit the floor, until I sat down pressing my finger tips to the keyboard, I've panicked. My anxiety is all around me, threatening to swallow me whole. Why? Why do I feel anxious? Before I sat down, I passed my husband in the hallway and said, "I just feel so anxious. I'm worried about February. What if I don't hit my goals? I'm afraid. January has blown my mind, but what if February I fail?" I spoke the deep fear nibbling slowly, but consistently away at my hope. He looked at me bewildered. "Why are you worried about February? It's still January?" It did nothing for my heart. My mind was already racing down the barrel of a gun toward explosive disaster. There would be no turning back from the anxiety if the shot rang out from the trigger. Admitting my fear. Admitting my anxiety. Processing my worry. Because I know I'm not alone. When I feel anxiety of fear or worry about results/progress or my dreams/goals... I NEED to STOP. I've shifted from God's in control, to I'm in control. 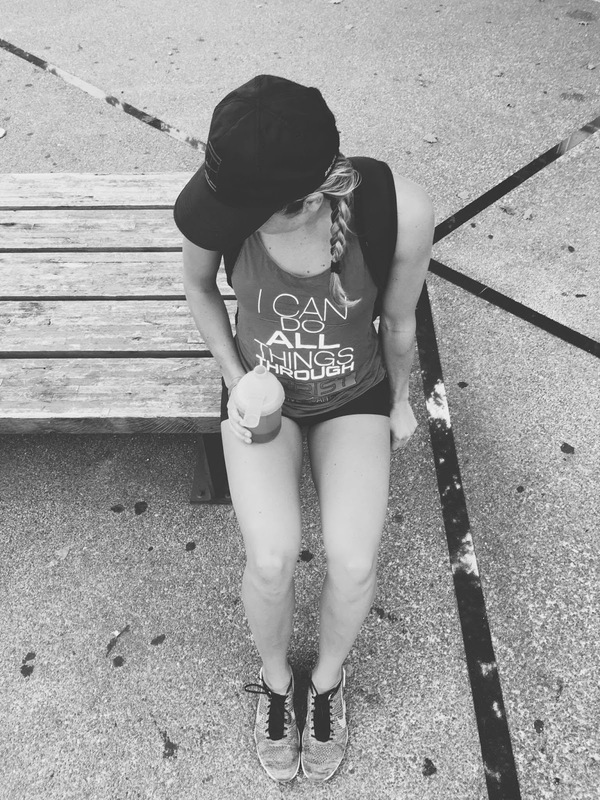 I've shifted from He can, to what if I can't? I've shifted from He's got me, to oh my gosh I can't do this. I've shifted from He provides to a scarce mentality. I've shifted from trusting him, to trusting myself. With those metrics, I fail. Fear had locked me in a trap believing that I alone was responsible for my success, my provision, my goals and dreams. It had me convinced I should be panicking because there's no way I could succeed in February the way I have done in January. ...you're not doing what you need to to succeed. ...you don't have what it takes. ...you will be embarrassed when you fail. ...you're just a one-hit wonder. It had my number, it spoke in my name. It was doing everything it could to shackle me in lies diminishing my self worth. But I don't want this. I don't want to live trapped by comparison of my success today to the possibility of failure tomorrow. I don't want to be the girl who let fear rob her of her joy. 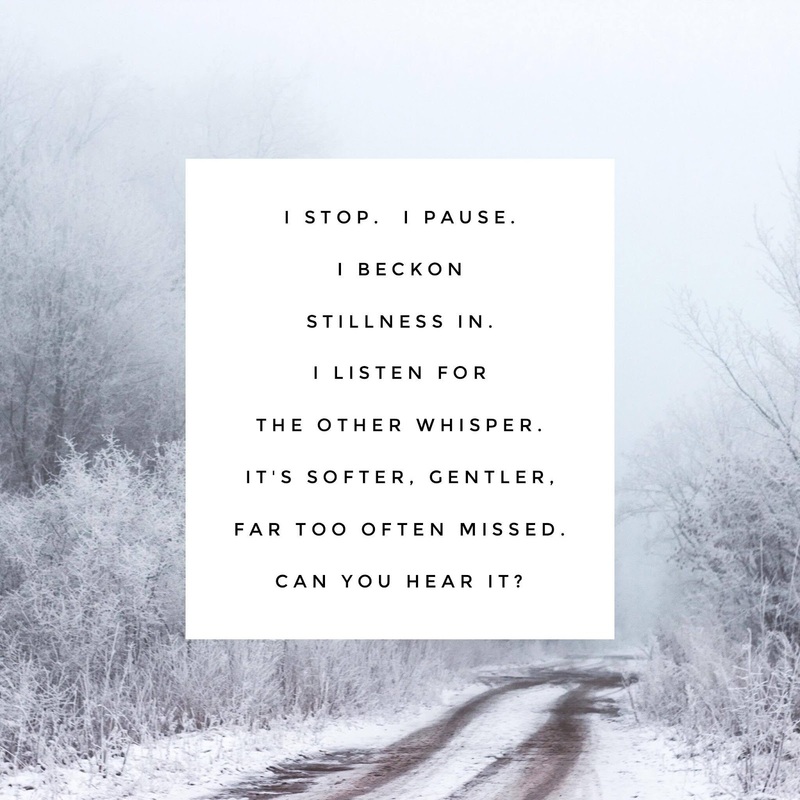 I don't want those whispers to paralyze me. The truth is I will fail every time I transition from God to me. Every time I shift my mindset and heart position to relying on myself instead of God... I will fail. Those lies are telling the truth. I wasn't meant to be self-reliant for success, provision, LIFE! I was created to be dependent. To know the strength, the power, the saving grace of a King who gave his life for me. So I stop. I pause. I beckon stillness and welcome silence. Searching for the other whisper. It's softer, gentler, far too often missed. "because I am, you are"
"take heart, I have overcome the world"
"the sparrows have food, so will you"
"make known your requests to me"
"take my yoke, give me your burden"
"in all things through prayer come to me"
"not you but christ through you"
"my power is made perfect in your weakness"
"be still and know I AM"
The stiller I become, the stronger His words echo throughout my entire being. Ounce by ounce the weight of my worry slides from my shoulders to the ground. I leave a trail of forgotten anxiety and fears in my wake as I press on, eyes lifted forward, to the voice calling me to life. In your presence, my worries are lost. In your presence, my fears are no more. In your presence, my anxiety becomes faith. In your presence, I'm restored. Not just one day, not just one moment. Ongoing, like your ocean of grace. When I thought I was drowning, hope was no more, you pursued me. You found me, and put my feet on solid ground. May I never fall asleep to your daily presence in my life. May I never forget the gift of your glorious presence. I feel you here. You are with me. You are what my heart longs for. Tears are streaming down my cheeks, and I know. There is nothing to worry or fear or panic over in your presence. Nothing compares to the gift, the joy I have in YOU. You whisper every moment, "I'm here; I'm here, I'm right here with you". When I let go, when I forget, you never do. For meeting me, for loving me, for calming my fears, my anxiety and my worries. I'm not strong on my own, I'm not capable on my own... but YOU. 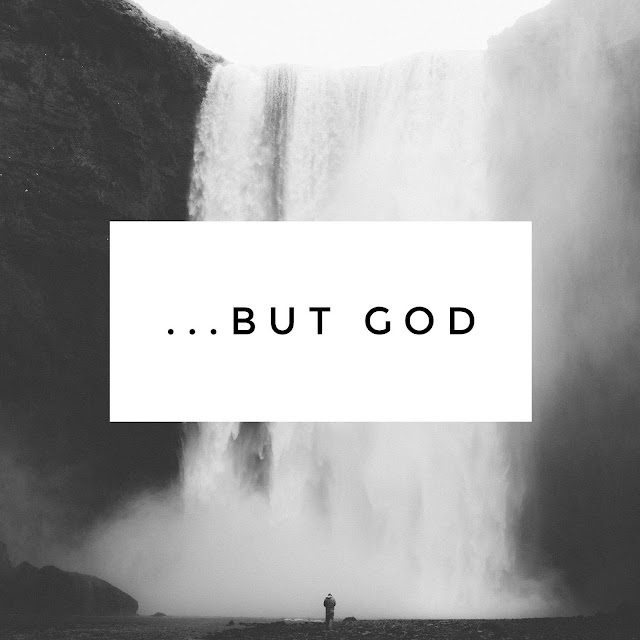 One of the most powerful verses I've ever read in the Bible, "but GOD". In anything we face, in anything I feel... I can find hope.... "but GOD". And as I finish this entry, I'm awakened to worship my God. 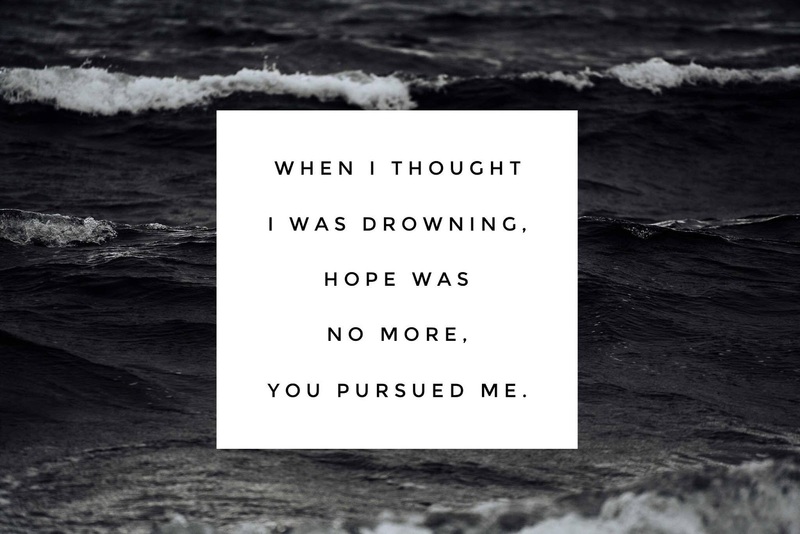 He gives life and today, I was desperate for His presence in my storm. And so I sing. Deep from within I feel my heart, my mind shift to worship of the God who is alive, present, with me. For the first time in a long time, I find my heart means every word I'm singing. Faith is always renewed at the foot of Jesus. Evost Fitness is one of the Top and best fitness and strength gym equipment machine brand in india and world.